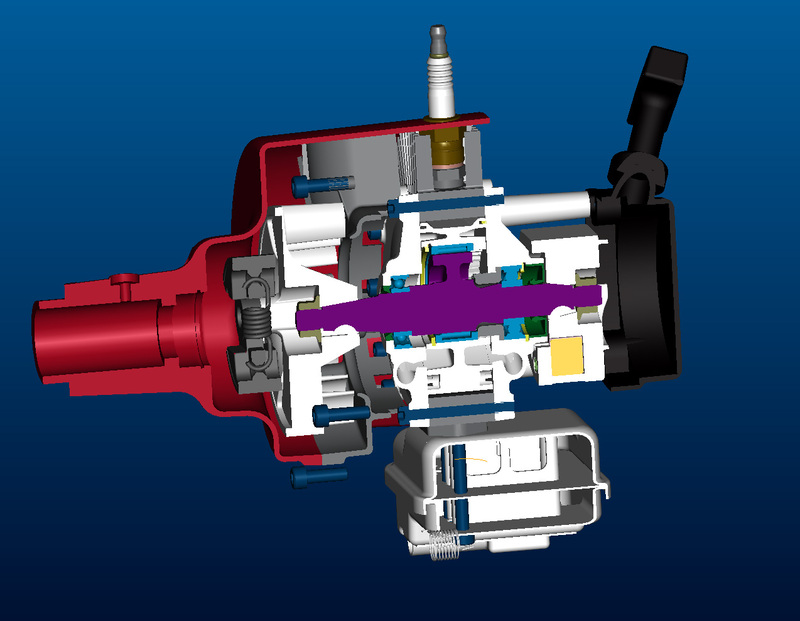 Freedom Motors has developed and demonstrated that using its Rotapower® rotary engine together with a state-of-the-art generator it can reduce the usual space required for a piston engine power supply by over 80%. 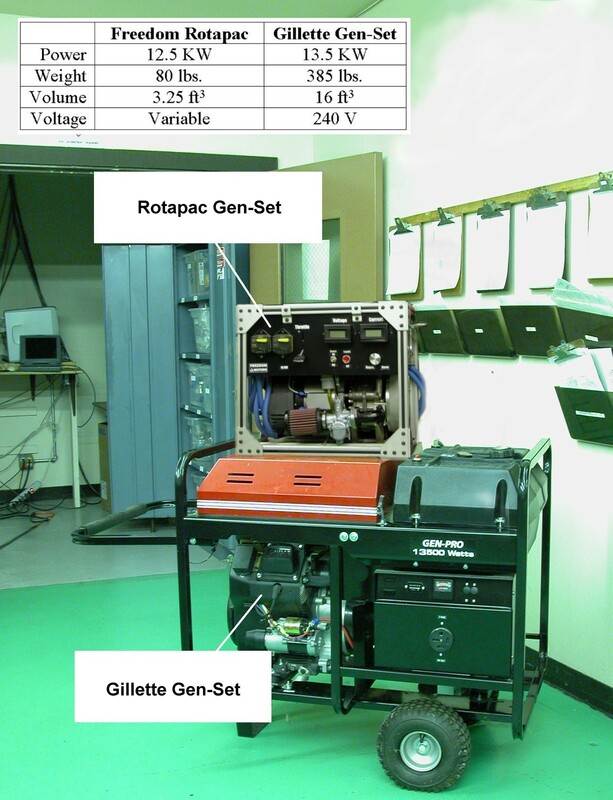 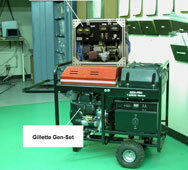 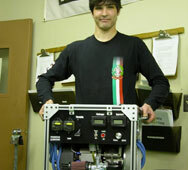 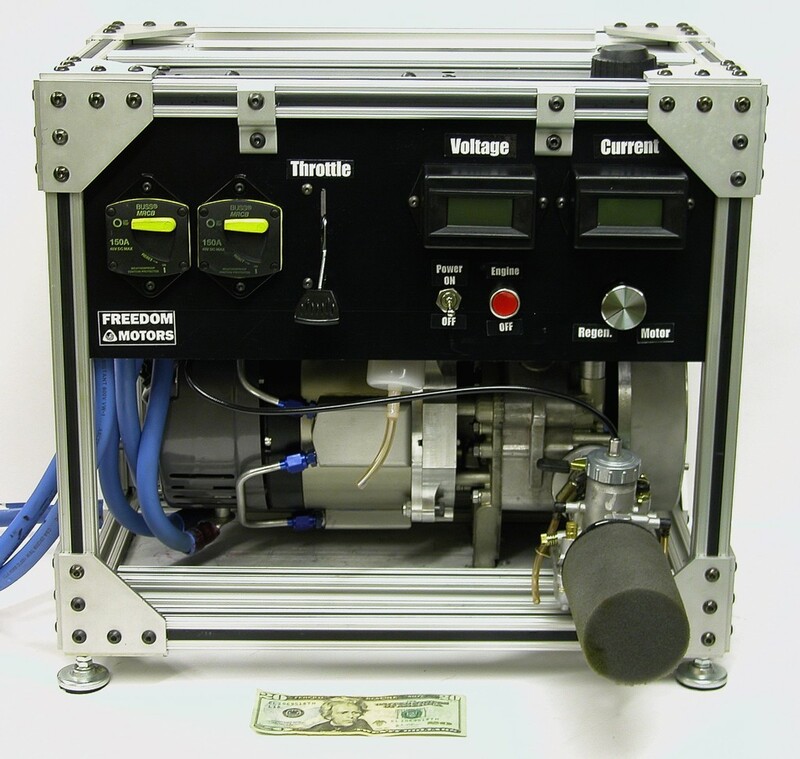 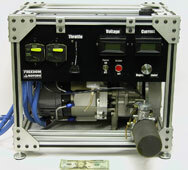 A small backup generator including all cooling, muffling and controls and would provide the user with a number of advantages and makes it possible to produce a 25-kilowatt electrical power supply that is two man portable. 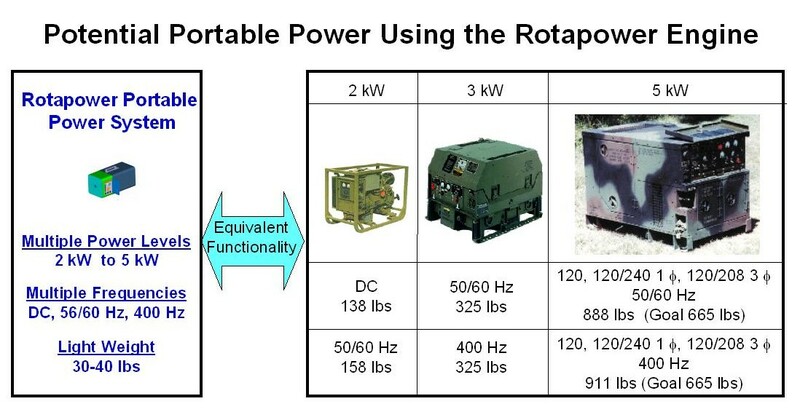 Such a unit is not available in today’s market and would be useful for a large number of mobile applications in addition to the plug in hybrid automobile. 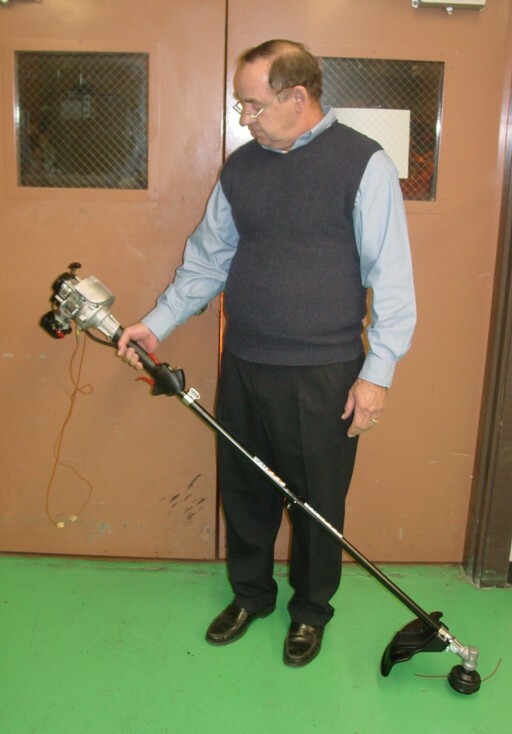 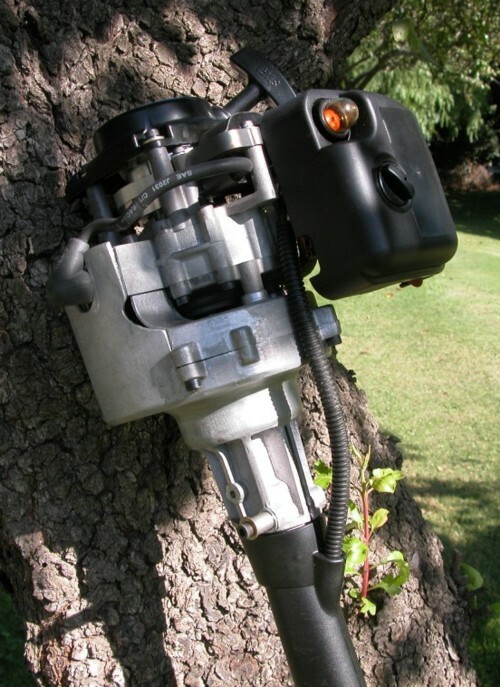 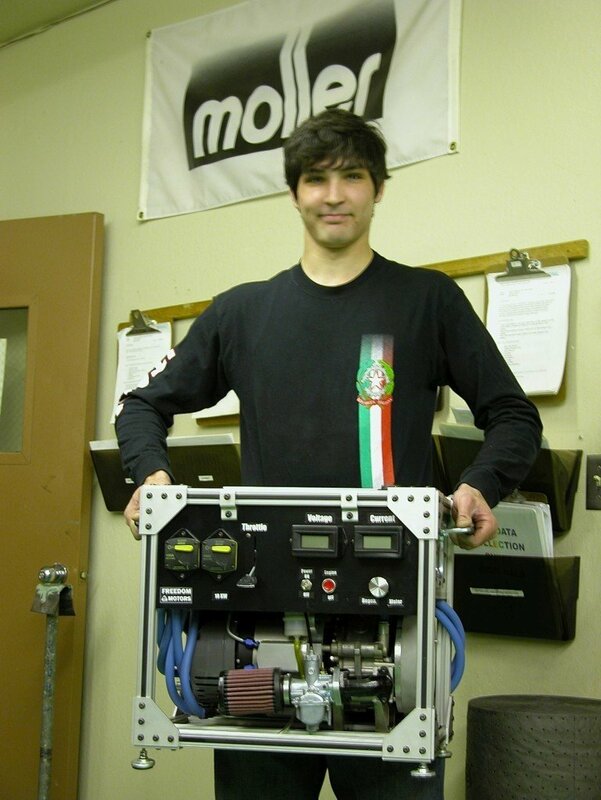 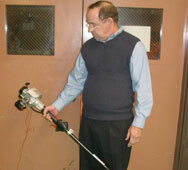 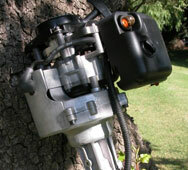 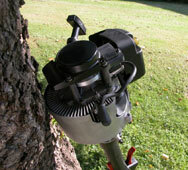 Freedom Motors has demonstrated a prototype yard trimmer using a 27cc Rotapower® engine. 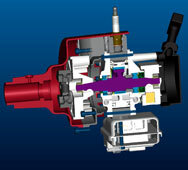 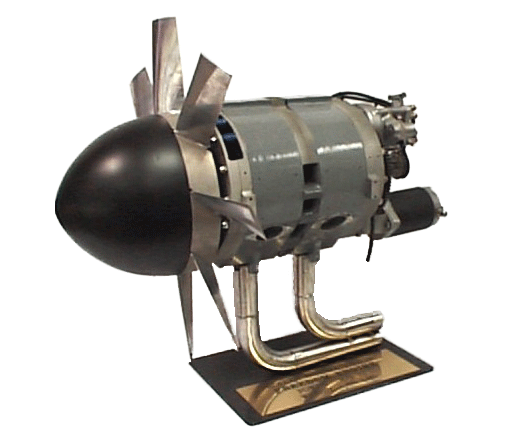 This engine provides 2.5 HP with only a 4 lb engine, which is very light weight for it's power output. 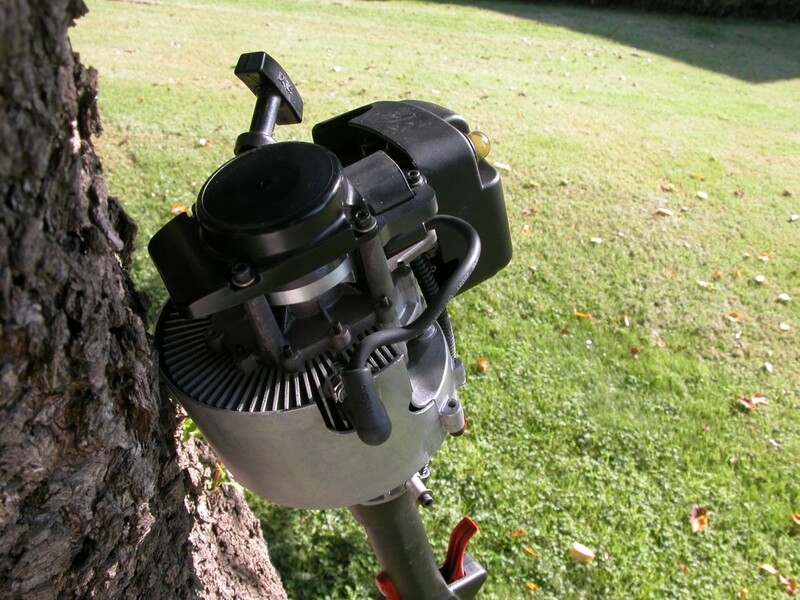 Because of the low weight and because the engine is literally vibration free, it is comfortable to use by hand for extended periods of time. 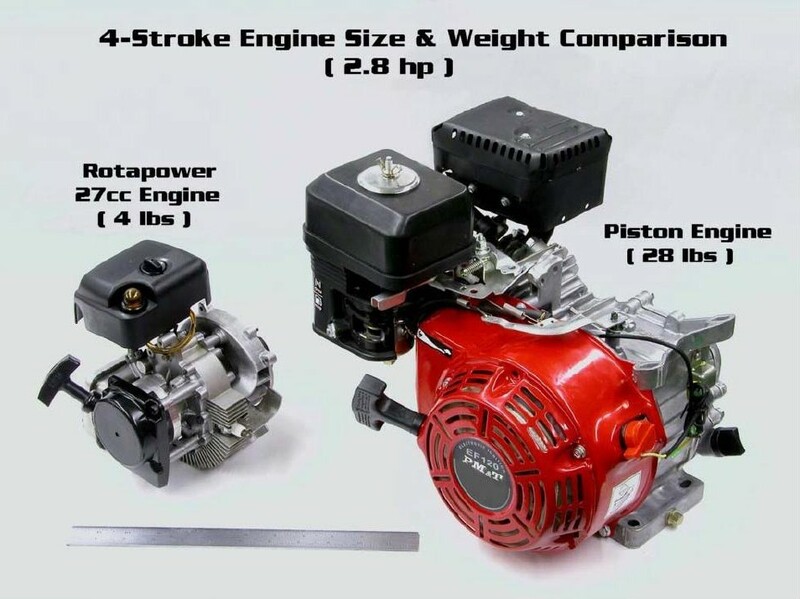 Also the engine is very compact in size reducing bulk for any hand tool application, as can be seen in the comparison below to an equivalent 4-stroke piston engine.